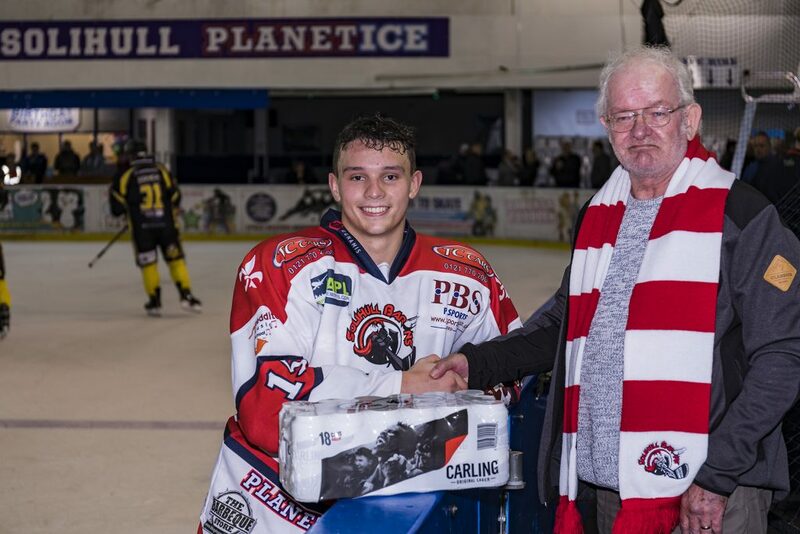 The Barons fans did not have long to wait for the opening goal, when Matt Maurice playing his first game of the season for Solihull slotted in from short range within 20 seconds of the puck drop. 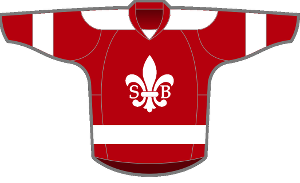 The advantage was then doubled as Niklas Ottosson found Luke Brittle in the slot for the Barons second goal a little short of 7 minutes. 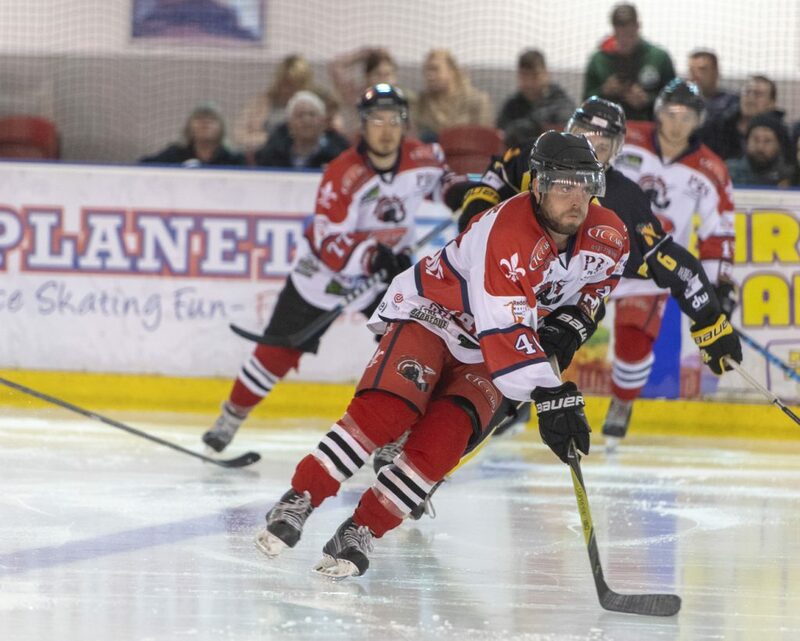 A rout appeared on the cards as Luke Brittle from behind the red line found an eager Marcus Maynard taking up position in front of the net leaving the number 3 to tap in for Solihull’s third. 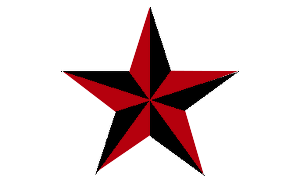 By 12 minutes the visitors made the most of their own powerplay to draw a goal back – Paul Stanley, slotting the puck in the net for Nottingham. The remainder of the first period seemed to consist of a stream of soft penalties for Solihull and while these were defended well the home side’s offensive ambitions were curtailed somewhat. Once back to full strength however and Solihull were quick to once more ease out their edge, Luke Brittle getting his second and Solihull’s fourth with a couple of minutes of the first twenty left. The second period had more goals going the home side’s way. Within two minutes of the restart Niklas Ottosson was breaking up the right hand side of the ice before passing to Luke Brittle, who took his time before selecting the spot for his hat-trick. 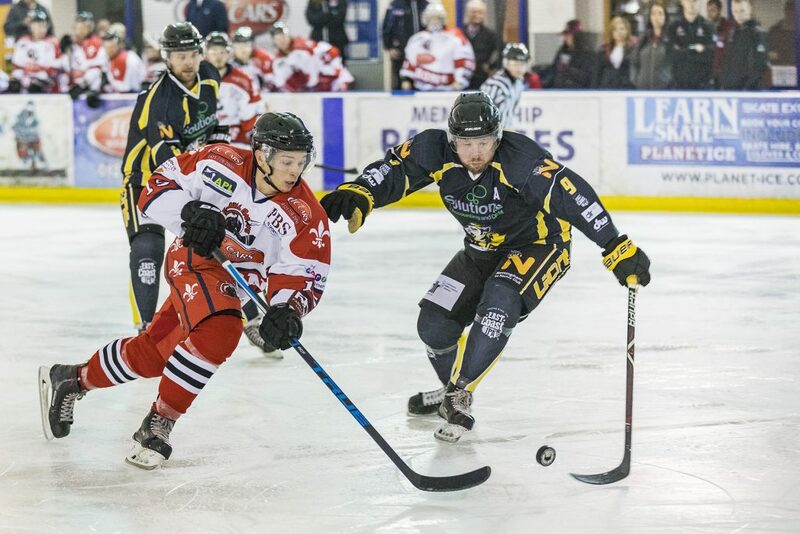 This would quickly be followed by a sweet tight angled goal from Matt Maurice before Solihull got their seventh after a cavalcade of training play drop passes and slick interplay which gave Dale White the final touch for the goal. 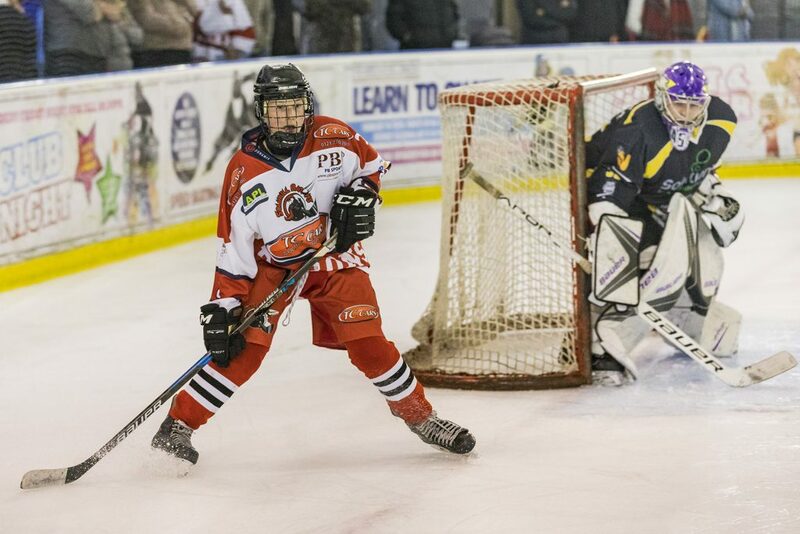 Nottingham would pull a goal back in the 32nd minute as Cameron Pywell slipped the puck under Josh Nicholls for the Lions second. 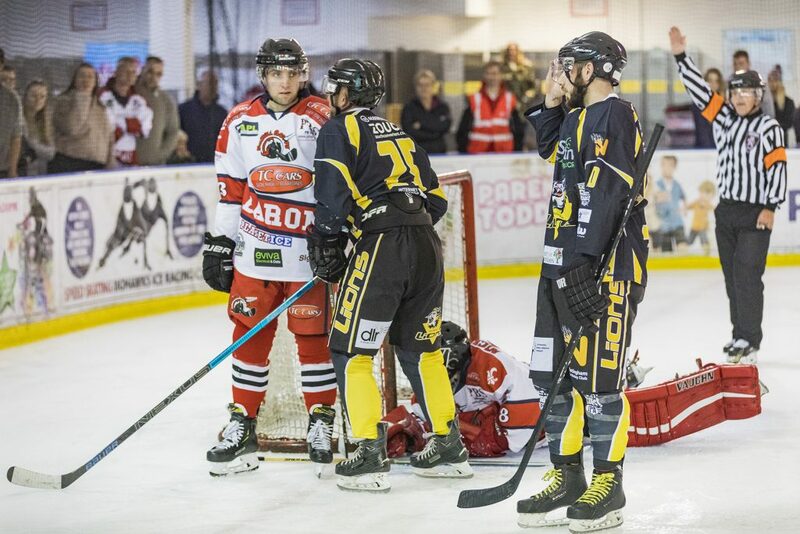 The period would end 8-2 to the Barons as Niklas Ottosson once more provided for Luke Brittle who lifted the puck over Nottingham goalie Ashley Smith’s blocker. The scoring ways continued for the Barons into the third as Elliott Farrell spun the puck into the Nottingham net early in the final 20. 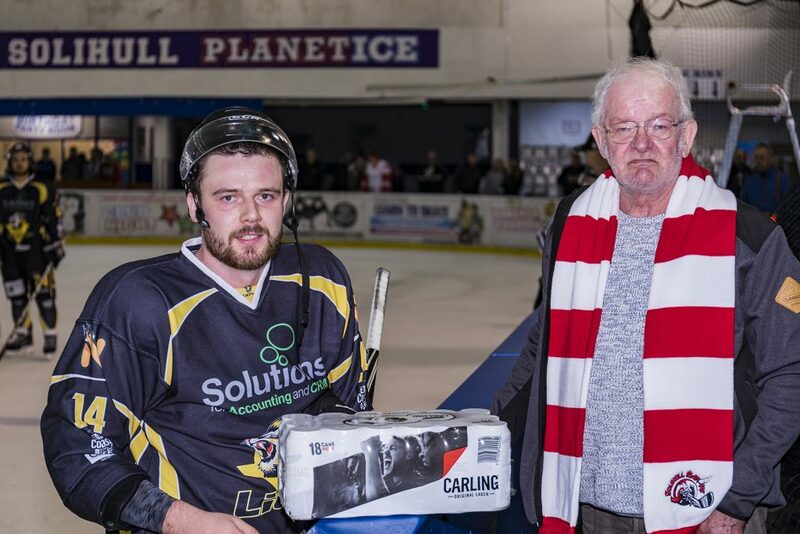 With ten minutes to go Ed Eaton lofted the puck into the roof of the Lions goal to push Solihull into double figures. With three minutes left on the clock Barons debutante, 17 year old Daniel Mulcahy, after an evening of committed play, got number 11, converting a pass from Niklas Ottosson to wind up business for the evening. 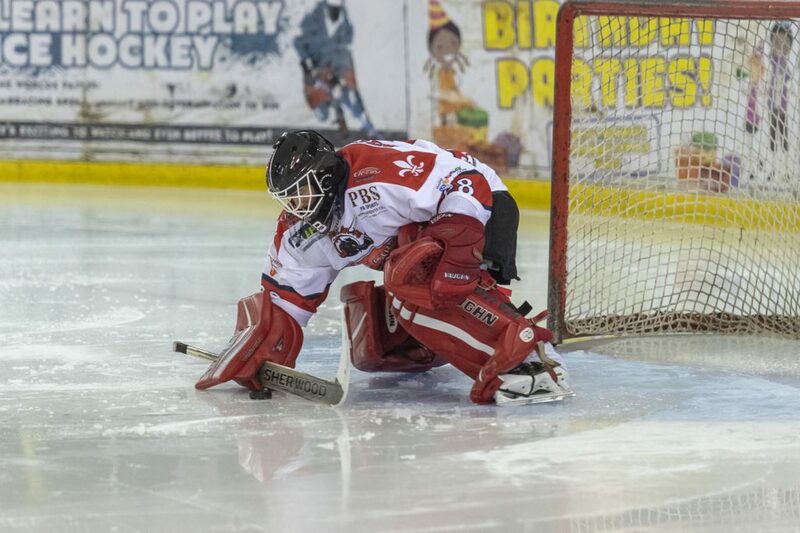 Next weekend sees the Solihull Barons make their first away trip of the season when they head to Ice Sheffield on Saturday to take on the Sutton Sting. 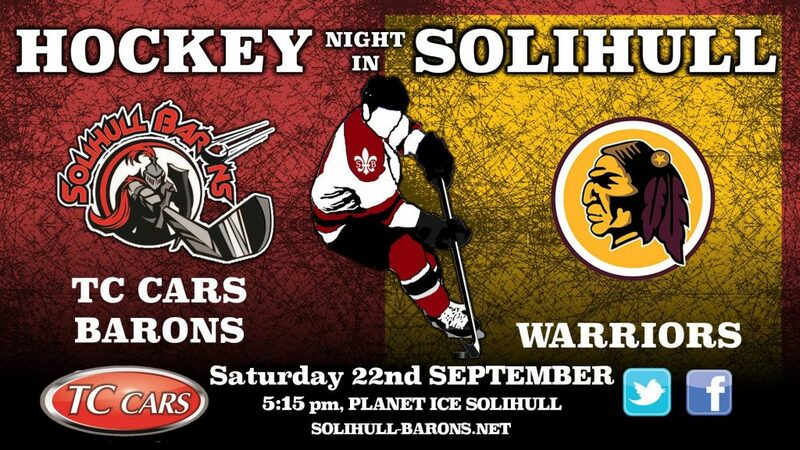 Barons fans can next see the side at home on Saturday 22nd September when old rivals the Whitley Warriors come to Hobs Moat for what will be a physical tie. Face-off will be at the Saturday time of 5:15 pm. A Super Saturday game against our old rivals.